I was reading blogs while on a long long road trip this past weekend and stumbled upon 13 Woodhouse Road and the "Know thy machine" blog hop. There are some neat prizes and I thought I'd jump in. I'm also (sorta) in the market for a new machine....so I love hearing what people have to say about their machines! We will call this "A tale of Two Janomes"
I love the simplicity of my machines. They are very user friendly and very straight forward. I have never been let down by either janome and both have endured days and days of sewing with little to no maintenance and never ever let me down. I keep them clean, I try to keep them serviced and they just go and go and go. They are both made in Japan and are HEAVY and made to last and take abuse. The 9000 sews through anything. 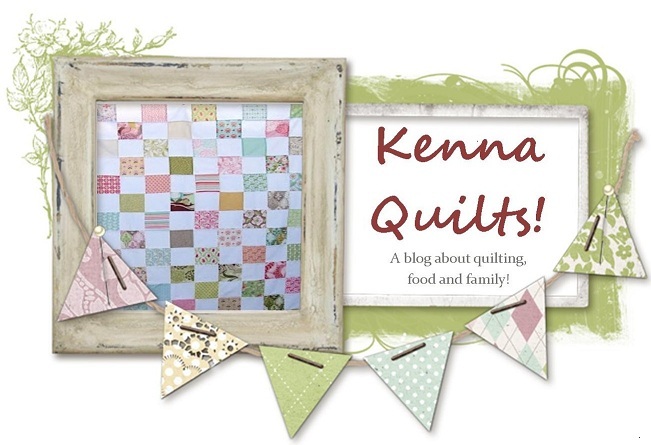 I have made bags and quilts and I quilt all my own quilts on my home machine! Not really. The embroidery unit is broken on both my first 5700 and my 9000. I really believe it's from the rolling sewing machine bag/taking the machines to and from classes, retreats, on vacations, etc. It's a lot of abuse and the units are sensitive. The school machine gets used by anyone who sneaks in and uses it so it's a little loose (it has tension issues) but I also believe that prior to my inheriting it it had never seen professional service. When I go back to work I am going to take it to my repair man and see what he can do. I sew mainly quilts and bags. I do minor garment repair, but that's it. I spend anywhere from 1-2 hours to 15 plus hours a week on my machine depending on what I am doing. My longest stretch of sewing was 12 hours straight. Number one: Buy the very best machine you can afford. A cheap machine will give you nothing but headaches. I have literally burned up a Europro and whacked a cheapo brother's tension so far out of normal it couldn't be repaired!! Test drive the heck out of all machines and then buy used. Each of my machines was several thousand dollars new. Even if I have to replace my machines every 5 years it's cheaper than buying a new machine. I have had amazing luck with Ebay (remember they have total buyer protection so if it's not what you thought you can return it...they protect the buyer) and Craigslist. Estate sales. Also, find a reputable dealer who will totally check out your machine when you buy it (it's worth the money, IMHO) and find out if they will give you lessons. I can't think of any. :) I just use and abuse the poor thing. I'm not sure. 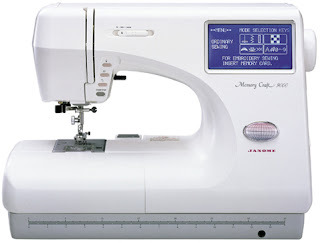 I know I need a new machine and I do believe I want an MC 6500 for the simple reason that it sews FAST and is another all metal construction machine. I learned to FMQ on an 6500 and totally fell in love. I will never buy a combination sewing/embroidery unit because I don't think they really do either task well. I do know I want an embroidery only machine and a sewing machine....I like the Janome 350E. Every now and then I think about a Bernina 440QE or even the smaller Bernina Activia 220, but I'm not sure I'll ever spend that kind of money. If I do it will likely be on some sort of long arm! What about your machine?? What kind do you have? I have 3 machines. I have an extremely basic but tough Janome 2212 which I got when my 30 year old thrift shop Kenmore died. That is a great machine... for garments. I got a Janome AQS 2009 so I could piece in my recliner with my feet up using the stop-start button, attend quilting classes. Earlier this year I was trying to finish a queen sized quilt for my sister and the 2212 wasn't quite doing it for me so I got a Viking Emerald 116. Each machine was the best I could afford at the time. I still have all 3. There are some ladies near me who want to learn to sew and having the machines is a blessing now because I can lend the 2212 out. Its also fairly indestructable. I have 3 machines. 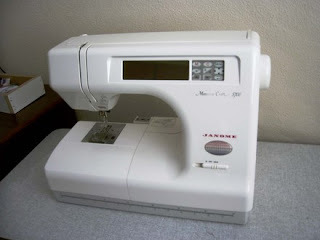 I have a very basic Janome 2212 which I purchased when my 30 year-old thrift store Kenmore died. That is a very robust machine and very good for garments. I have a Janome AQS 2009 which I purchased to piece quilts whilst sitting comfortably with my feet up in my recliner (piecing with stop-start button, not foot pedal) and taking to quilting classes. Earlier this year I was trying to finish a queen sized quilt for my sister and found the 2212 a bit difficult for this task, so I purchased a Viking Emerald 116. In each case, the machine was the best I could afford at the time. I sew both clothing and quilts, right now more quilts. I think if I had unlimited money I would keep the multi-machine set-up. I would keep the AQS 2009 (maybe get one with more decorative stitches) and then get something like a Juki tl2010 semi-industrial straight stitching machine just for quilting and hemming denim.